Chelsea star looking to force a move in January and I cannot blame him. 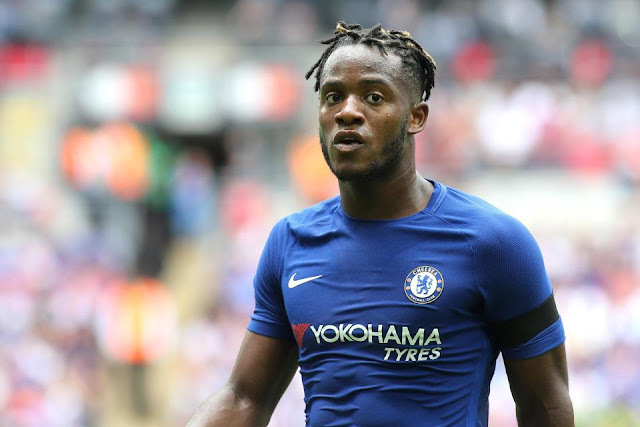 According to various reports, Michy Batshuayi is looking to force a move away from Stamford Bridge to rekindle his hopes of making the Belgium squad for this summers World Cup Finals. With everything that has happened to him since he joined at the beginning of last season, it's more than fair to say that we cannot blame him. He had to settle as the backup to Diego Costa last season and just kept his head down, worked hard and waited for his chances with one of those being the goal he scored against West Brom to win the Premier League title last season. With Diego Costa sold and Alvaro Morata brought in as his replacement, the Belgian striker has had to play second fiddle to the impressive Spaniard who has played really, really well since his arrival from Real Madrid. However, it's now that Morata has missed the last two games and Antonio Conte has overlooked Michy Batshuayi in favour of playing a false-nine with Eden Hazard up front with Pedro and Willian, that it's become clear that Conte just doesn't fancy him and would prefer to bring someone else into the club as a backup striker. To his credit, Batshuayi has never ever kicked off or spoken out in public to criticise the manager. He has kept his head down and worked hard. All this despite the constant speculation of his role at the club and his immediate future which seems to have plagued him ever since he joined us. I personally believe that we have seen more than enough glimpses of the quality he has if he is given a run of games but that's not going to happen anytime soon here is it. A move in January to a side that WILL offer him regular football seems to be the best result for everyone concerned. In saying that, it's more than likely that the "Batman" will start against Bournemouth tomorrow night in the Carabao League Cup Quarter Final. He will more than likely play well and score but it will not make the slightest bit of difference to what happens in our next Premier League game away to Everton. We sit and wait to see what happens tomorrow night and in January but what do you, as the Chelsea fan reading this post think of him? Is he good enough?